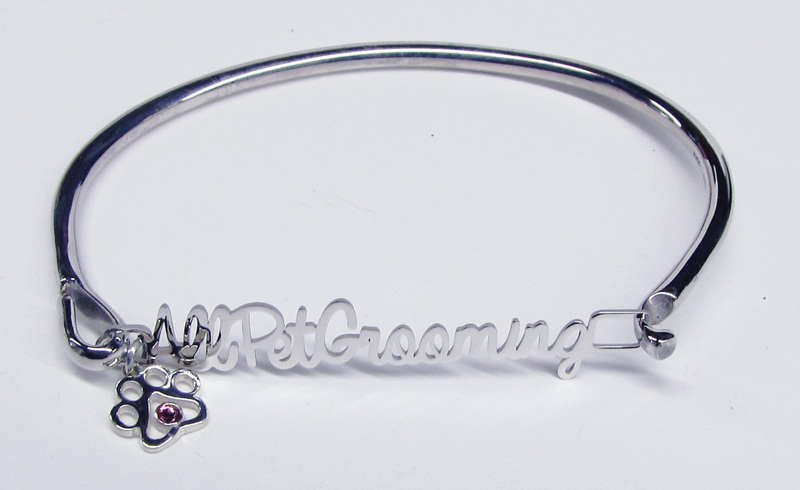 Your puppy love, kennel or grooming shop is your pride & joy. Now you can wear your pride in sterling or 14k gold w/a coordinating Puppy Paw®. Ordering this takes a little extra work. Please make sure that if you would like extra capital letters or something special that you include your desires in a note.